The Union of Arab Securities Authorities (UASA) and Capital Market Authority of KSA held a training program on Risk in Financial Services in Riyadh from 20 to 22 November 2018, attended by CMA KSA employees and representatives from Abu Dhabi Securities Exchange. 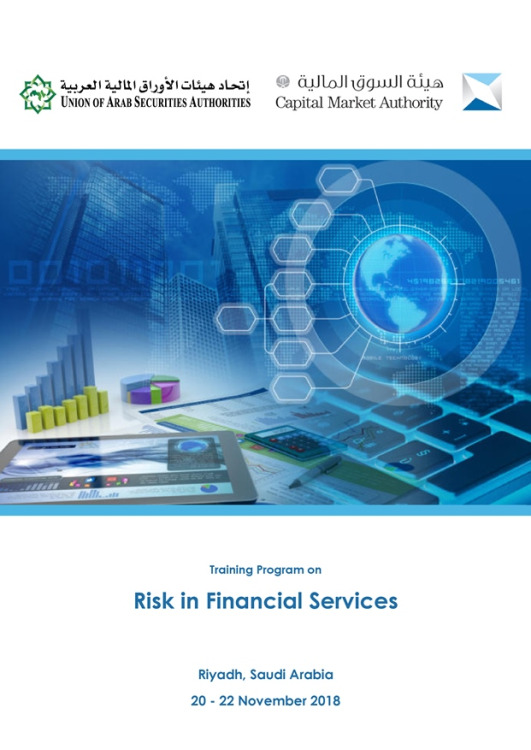 The program aimed to familiarize participants with the risks facing capital markets, including operational, investment and liquidity risks, etc., as well as corporate risk management. This program represents a part of the UASA Strategic Plan 2016 – 2020, within the framework of capacity building pillar, the plan aimed to hold series of training programs and workshops to contribute in developing the regulators’ supervisory capacities and to enhance the effectiveness.